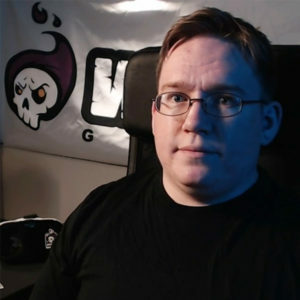 Jay Kidd is the Founder and Creative Director for the award-winning, Ohio-based game studio, Wraith Games. He started the studio all the way back in 2005 with a group of his friends while still a student. Since then, he and the rest of his team have dedicated their lives to making innovative, unique, and experimental games for all ages and ability. Jay is also a part-time high school game development teacher, podcaster, and industry consultant. In his free time, he and his wife collect and repair arcade cabinets.